Peeps S'more Pie. Yes yes yes! The sweetest tricolor cake you've ever seen! 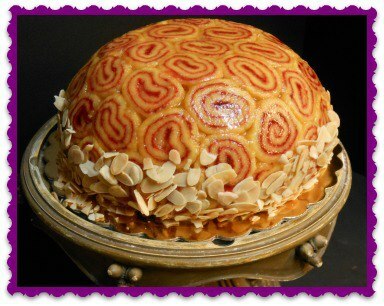 Look at this flourless roulade cake for Passover, by Freeport Bakery! Easter Candy Dessert Tacos. Believe it. Chick-a-dee sugar cookie bars. Yeah! Cadbury Creme Egg Salad Sandwiches! ...or any of these Peeps ideas. ...or at least some Peeps-inspired art like this.